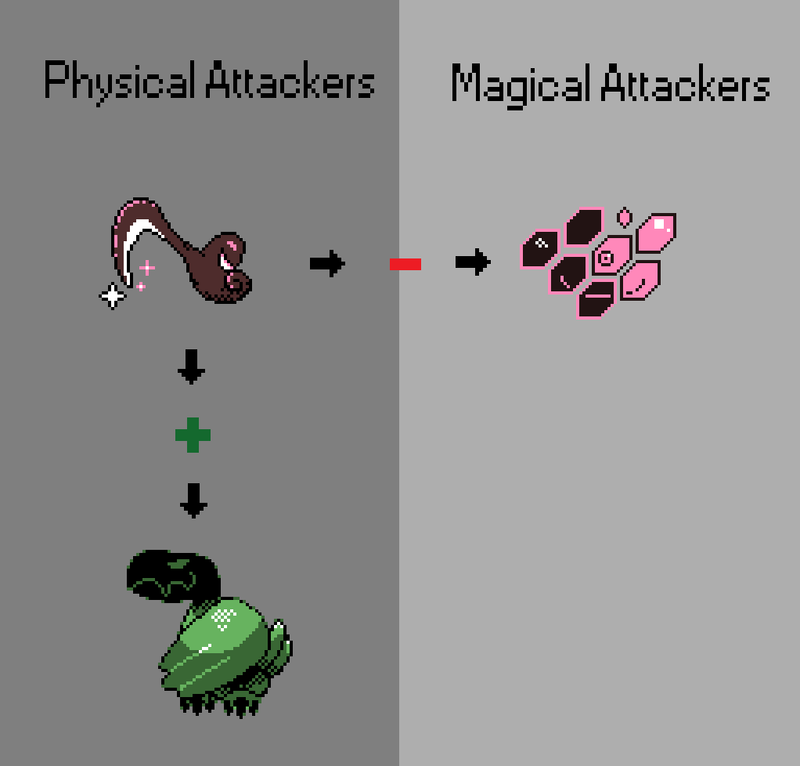 When switching Monsters out in battle, switching to a Monster of the same attack-type (Physical Monster to Physical Monster, Magical to Magical, etc.) will add a level to your Stockpile Gauge. Failing to keep switching and maintaining the chain will cause the stockpile to deplete to zero, however, if your final action to end a chain is an attack, that attack will be highly boosted by the stockpile you've built up. Along with boosting your next attack, the six levels of stockpiling can have other effects as well, such as boosting your stats, lowering your opponent's stats, or inflicting status effects. With six levels you will need to be sharp and choose the right amount to build for each situation! Question! You say that stats ailments are a potential effect of stockpiling, but will there be normal attacks that dole those out too? For sure! Status Ailments in Crowns can be quite Bizarre, including Adrenaline Rush, DrownScare and Reality Break! We'll be covering each in detail in an upcoming video. 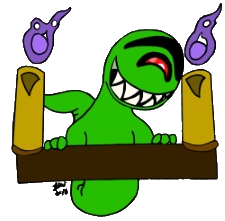 Is there a icon that shows me if my monster is magical/physical? As right now i can't see one. Also, i still don't get the stockpiling sistem Do you just keep switching your monster till you have stockpile full and then attack? Does stockpile remain if i attack, but not switch? There will be an icon to show if your Monster is a physical or magical attacker for sure! You'll keep switching to build stockpile, but you only have to charge it as much as the perk you want. When fighting an easy enemy you may want to only swap once for an attack boost + attack buff while against bosses you'll have to think carefully on which stockpile effect is most useful. Early in battle against a boss you may want to focus on buffs/debuffs, but when things get hectic you may want to go for an all out super-powerful attack! What if i wanted to have a team of two powerful monsters, one magical and another physical, would that mean such team wouldn't work very well? You could ignore the stockpiling, and make two very powerful monsters that are strong enough to win without the stockpile mechanic. Or you could use special token monsters that you don't have to train to boost your stockpile (more details on this soon - we're ironing out the details). hey, I got an idea. it is nothing big, but an idea non the less. So, swapping in stockpiling never made sense to me. But what if it was renamed to cooperating? 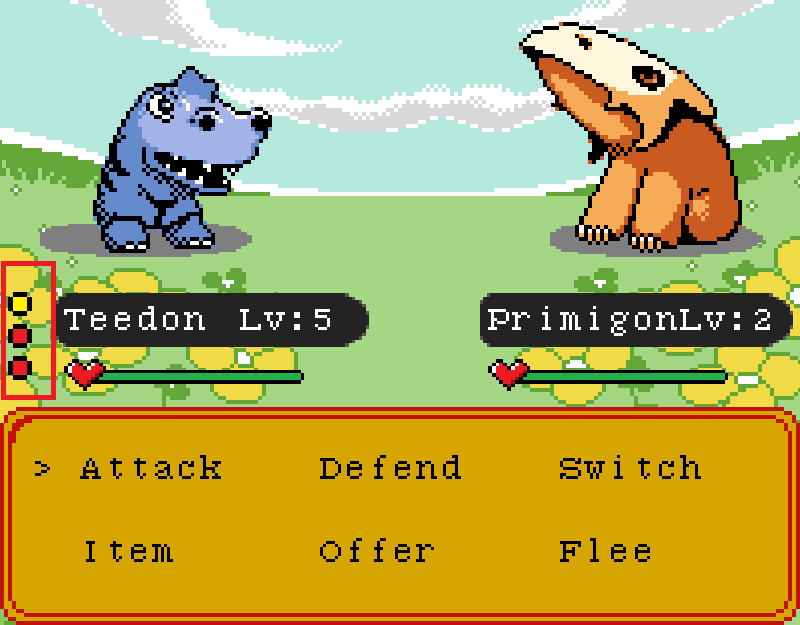 Magical monsters get along well beetween eachother, cooperate and make battleplans together. And their plans fullfil eachother, so by cooperating you would get you a stockpile. But if you try to cooperate magical and physical their plans would be so different that they would start arguing and lose all the stockpiles. Randwarf wrote: hey, I got an idea. it is nothing big, but an idea non the less. That's a very interesting way to put it! It makes a lot of sense and would be a good way to explain the stockpile. The stockpile is the built "charges", and they're fine to be call that, but the process of building them may very well be better explained as "cooperating". I like that. We've had to revamp a major system (which leads to huge performance gains on older hardware) but it set us back a little. We're working on getting out a battle demonstration ASAP so you can see it in real time. I look forward to this Battle Demo Vid... I still dunno if I understand the Stockpiling well enough... attacking more times seems more worth it a thing to do... though that might be why I had such a hard time handling the first Boss in the game... barely beat him before losing all my dudes. Stone Dragon Brawn while Boss poisoned MVP.